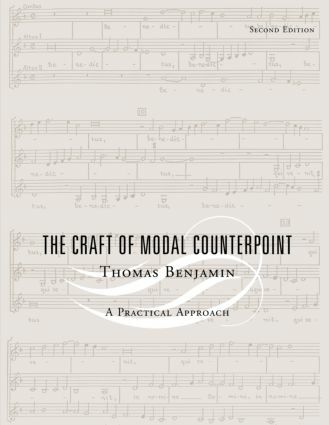 "The Craft of Modal Counterpoint" is the companion book to Benjamin's "The Craft of Tonal Counterpoint," recently republished in a second edition by Routledge. Modal counterpoint is the style of composition that was employed until the "tonal" revolution pioneered by Bach; it is the basis for most Early Music. Benjamin, a composer and pedagogue, offers a complete analysis of this important musical style. He begins by covering general aspects of the style, then covers in detail two, three, and four-part counterpoint. The Motet, an important form of vocal composition in this period, is studied separately. The book concludes with a brief anthology of key scores, 15 in all, for the student to study further. Also includes 132 musical examples.